Interest in eating healthier, and in supporting organic food producers and local farmers, is higher than ever before, so this green business idea capitalizes on that trend and helps to make it easier for people to eat organically grown and produced foods, without having to leave their house. If you love helping people to make better choices in their diets, and in making connections between organic food producers and consumers, then starting an organic food delivery service might be for you. 1. What is an organic food delivery service? Many people want to buy and eat healthier, organic, products, but for one reason or another (e.g., too busy, don’t know what to buy, can’t get to the grocery store/farmer’s market), they don’t. Organic food delivery services help solve this issue. Some deliver a bag of veggies every week or every other week, direct from the farm. Others do pre-made meals, box lunches, and the like. Interest in organic foods has been skyrocketing for more than a decade, and the industry has enjoyed 20%+ revenue growth annually. Despite the recession of ’09, organic foods have continued to grow, albeit a little more slowly. Two trends combine to make an organic food delivery service a solid bet for aspiring entrepreneurs. One is how busy people are. The other is interest in chemical-free food that is more nutritious than conventionally produced food. Neither trend is likely to do anything but accelerate. There are no formal educational or training requirements for running an organic food delivery service. The ability to coordinate customers’ wants with the available organic produce you can find for them (and there are a lot of ways to go about this) is the only real trick to the business, although knowing the ins and outs of the organic food industry is a huge plus. Connecting with local organics producers can also help to make this a viable business, as being able to cut out the middleman puts you in a strong position to get the best deals for your customers. $-$$ (on a scale of $ to $$$$$) A delivery vehicle of some sort is required, although that could be as simple as a bicycle with a cargo trailer, and having a location that can serve as a short-term storage solution and staging area (including perhaps a refrigerated storage area) will make it easier to scale up your business. 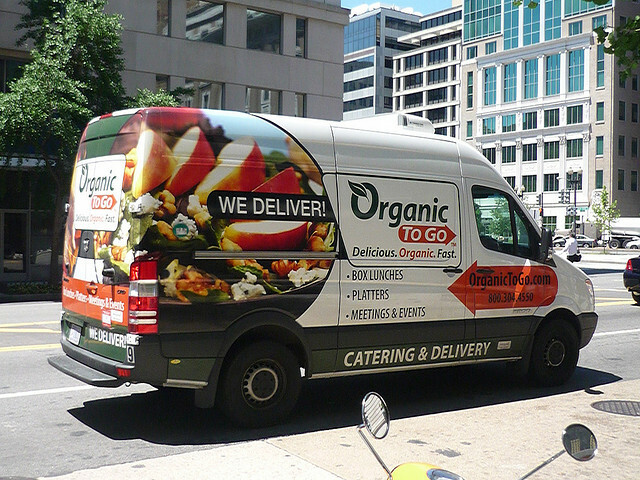 Investing in some basic marketing materials, such as flyers, business cards, or a website, can also be helpful in getting the word out about your organic food delivery service. $$-$$$ (on a scale of $ to $$$$$) If your delivery service can successfully differentiate itself from other grocery or food delivery services (such as by focusing on local and independent organic food producers), or attract larger clients, such as restaurants, B&Bs, or offices, then the income potential for this type of business could be much higher than if it just focused on the market for individual organic foods consumers. 5. What is the best location for an organic food delivery service? The location itself is not important, but you’ll perhaps want to focus your marketing efforts on densely populated areas (urban and semi-urban), as this is most likely to be where single professionals or dual income couples tend to be, and these are the folks most likely to be your target market. Are you organized enough to have multiple clients with multiple requests and fulfill them all efficiently? Do you enjoy spending time in transit between one client and another? Are you a good networker, able to attract clients near each other, to reduce travel times between drop offs?